The greatest risk of death or serious bodily injury facing bus, SUV, minivan, and truck occupants is a rollover accident. According to the National Highway Traffic Safety Administration (NHTSA), over 280,000 rollover crashes occurred in 2003, with 10,000 people losing their lives each year. In 2005 the National Consumer Survey (NCS) report indicated that more than 40% of Americans think they are safer in a sport utility vehicle (SUV) than in a regular car. This same report indicated that nearly 50% of Americans do not consider that loads contribute to the risk of rollover. 39% of Americans feel more empowered when driving or riding in an SUV. The NHTSA reports that buses passenger vans, and SUVs rollover much more easily than other types of vehicles, namely cars. Furthermore, about 37% of fatalities occur in these type of rollover crashes, compared to 15% for passenger car crashes. According to the Insurance Information Institute, in 2006 the occupant fatality rate of rollover accidents exceeded all other vehicles. In 2006 47% of driver fatalities in SUVs occurred in single-vehicle rollover crashes, compared with 39% of deaths in pickups and 21% for cars. According to the Insurance Institute for Highway Safety in 2006, 8,062 occupants of SUVs lost their lives. 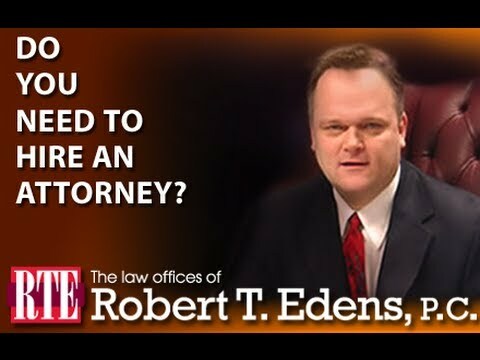 If you or someone you love was injured in a rollover accident call the Law Offices of Robert T. Edens. 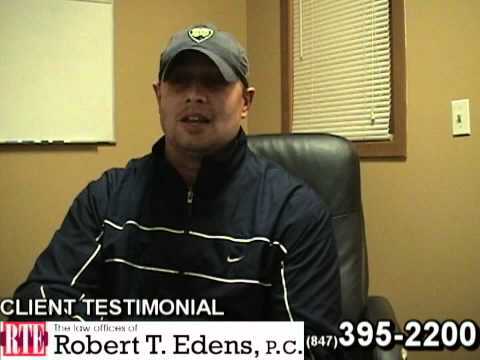 Bob and his staff have over 20 years of experience litigating car crash cases, including rollover accidents. 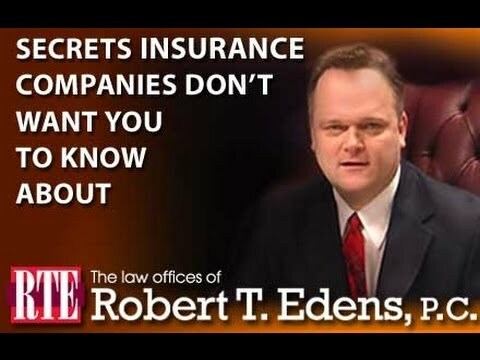 Bob and his staff can win your vehicle rollover case and get you the MONEY you deserve. The research and liability of manufactures regarding rollover accidents is very complex. EXPERTS will be involved and it is not advisable that you try to take on the manufactures and insurance companies on your own. There are all sorts of TRAPS for the inexperienced, so please consult an attorney. If you or someone you love has been injured or killed in a bus, SUV, passenger van, or other vehicle rollover, call attorney Bob Edens and get a FREE and honest evaluation of the value of your case. After gathering data from across the U.S., the NHTSA concluded that with regard to the use of seat belts, a very high percentage of fatal rollover crash victims didn’t use seat belts. This is a major problem for SCHOOL BUSES since children on school buses typically do not wear seat belts. More than three-fourths of fatal rollover crashes are single vehicle crashes as apposed to multi-vehicle. Of the rollover accidents involving fatalities, those involving drivers with a BAC of 0.10 or higher was a factor in almost one half 50% of the cases. The report indicated that the number of buses, SUVs and passenger vans involved in fatal rollovers has approximately doubled in the years since 1992. The report indicated that as the number of occupants increase, especially over 10, the risk of rollover increases. Drivers involved in fatality rollover accidents tended to be slightly younger than the median population age. Over 3/4 of the drivers were men. Speed played a major roll. About 40 percent of fatal rollover crashes were reported to be speed related in 2000. This was compared to 15 percent of fatal non-rollover crashes. Road type also played a factor. Fatal rollovers occurred mostly on undivided, two-way roads or divided roads without barriers. Rural roads were also more likely to be the scene of a fatal rollover. As can be seen from the 2002 NHTSA report on rollover accidents, there is a direct correlation between the number of occupants of the vehicle and the likely hood of rollover. A major problem is with school busses. It is know that school busses carry a large number of children. If is further known that under these circumstances it MUCH more likely that a rollover will occur. WHY THEN ARE CHILDREN NOT REQUIRED TO BE RESTRAINED? This is a question that must be answered by school boards and the legislature. The NHTSA indicates that statistically the injury and fatality rates are low and the other safety standards are higher then with standard busses. It seems that there are many requirements regarding stopping at rail road crossings and the use of stop gates and signs, but there is no requirement to use seat belts. On April 5, 2013 a school bus carrying 25 children headed for Newport Township Elementary School was involved in an rollover accident. The accident was in Lake County near the Wisconsin border in the morning. The accident happened around 8:15 a.m. at the intersection of Route 173 and Kilbourne Road in Newport Township. The bus was transporting children to the Newport Elementary School when it collided with an SUV and another vehicle at the intersection. The intersection is controlled by a traffic light. Both of the other vehicles sustained heavy damage. One of the drivers was pronounced dead on the scene. 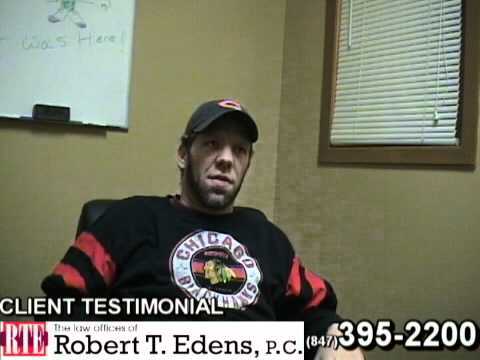 If you or someone you love has been injured in a rollover accident, call Bob at the Law Offices of Robert T. Edens to get a FREE and honest evaluation of your case. The call is FREE. The advise may be priceless.